Plaza Hawaii Kai was built in 1974 and is located on Hawaii Kai Drive. There are two main structures, a fourteen story high rise and low rise townhomes. 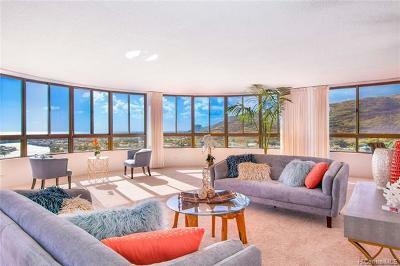 There are a total of 146 residences at Plaza Hawaii Kai. 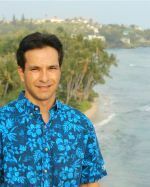 The higher floors offer excellent views of the ocean because there are no high rise buildings between Plaza Hawaii Kai and the coastline. 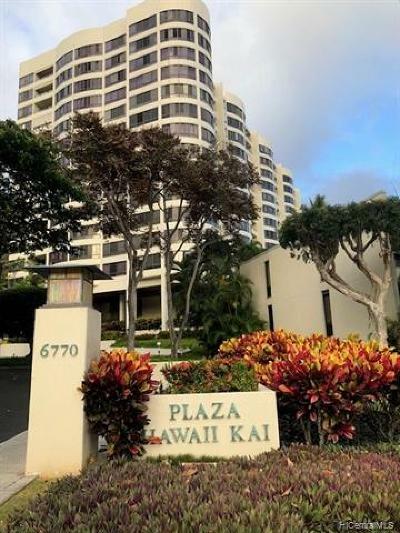 Plaza Hawaii Kai features great amenities. Each residence has two parking stalls and the property has 20 guest parking stalls. In addition, street parking is available right in front of the building. A large meeting room with a kitchenette is located on the ground floor. The room can be reserved for private parties. A swimming pool and barbecue area are outside the meeting room. Storage closets are available for each residence in the high rise. The property is also secured. Residents have magnetic key fobs for easy entry into the building. Guests can easily enter via an enterphone system.